Unfortunately, we have no current listings in Kentucky. We are eager to add destinations and venues from all states. If you are a reunion planner who has experienced fine service, recommend places you feel others would enjoy and should know about. 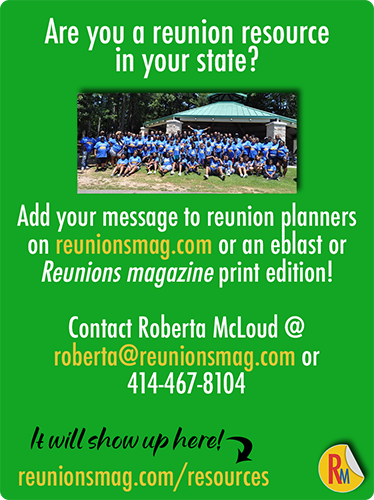 If you host reunions and are eager to attract more, contact us for information about how you can reach reunion planners across the US and Canada. Our readers will thank you. And we thank you too!